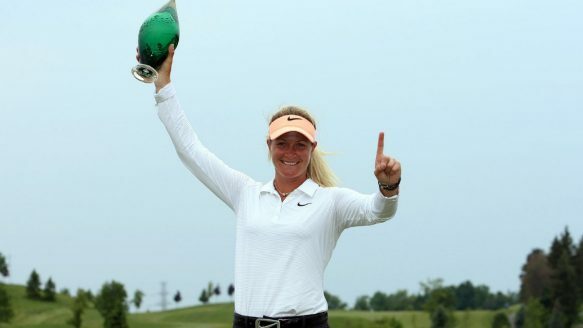 Congratulations go out to Suzann Pettersen for winning the Manulife LPGA Classic. She came out on top by one shot over Brittany Lang. Suzann shot a final round 69, to finish 22 under par. Her 25 foot eagle putt on the 12th hole turned out to be the difference. 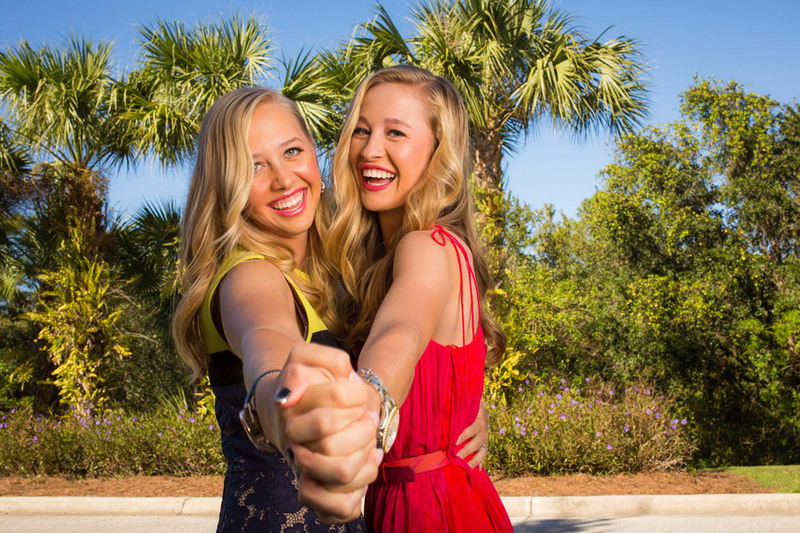 The LPGA moves to New York this week for the playing of the KPMG Women's PGA Championship. This will be the second major championship of the year. 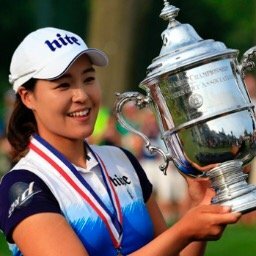 Although Inbee Park will be trying to defend her title which she won last year in a playoff over Brittany Lincicome, this tournament will not resemble that tournament in any way, shape, or form. This major championship tournament now has a new name (formerly Wegmans LPGA Championship), a new sponsor, and will be played at a new venue. This will start a very important stretch in the LPGA schedule that will see the players play four major championships among the next ten events. The ten tournaments will have ten different defending champions. This will be tournament #15 of 32 on the LPGA schedule. It is also the 2nd of 5 majors. My strength of field rating is a sky high 88%, up from 81% last year. As of this writing 73 of the top 75 players on the LPGA priority list, and 23 of the top 25 players from the Rolex World Rankings will be teeing it up. The most notable absentee will be Ai Miyazato. Here are the pairings for the first 2 rounds. Brooke Henderson (her 5th) & Gwladys Nocera received sponsor exemptions this week. My excellent picking last week was good enough for first place. I am now up to #4 in the overall standings among the 23 contestants. With Stacy Lewis missing the cut this week, Lydia Ko now has the longest current cut streak. Lydia has made the cut in her last 53 tournaments. Mirim Lee also saw her cut streak come to an end at 23. Suzann Pettersen makes the most important move, jumping up from #10 to #5. Brittany Lang leaps from #65 to #46, while Mariajo Uribe bolts from #87 to #64. 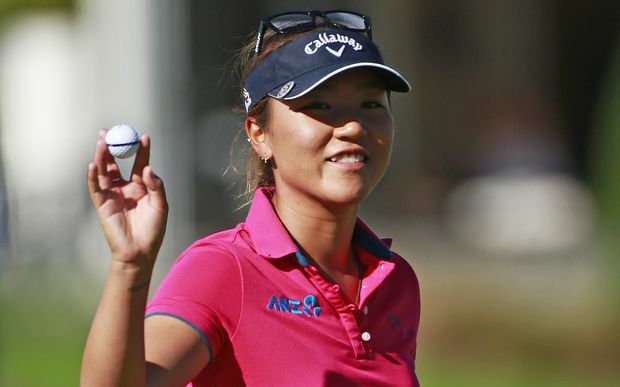 Lydia Ko leads with 2,134 points. 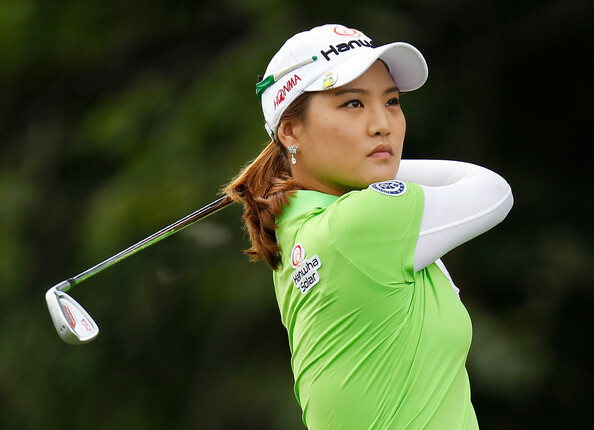 She is followed by Inbee Park with 2,046 and Sei Young Kim with 1,682. Mariajo Uribe's 3rd place finish this week was her 3rd consecutive top 20. Kristy McPherson has missed the cut in her last 8 tournaments. My wife & I will be attending this event. Hope to see some of you there.